We have the moat upgraded machines and technology to make sure that the raw material is completely in compliance with the set standards. This helps us in presenting good quality and defect free products. 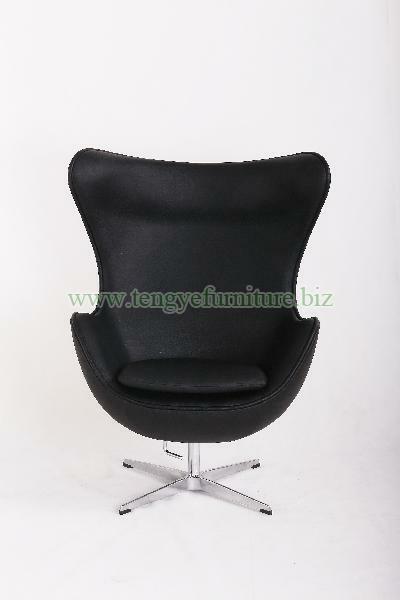 Our company stands tall among the victorious Suppliers of Black Chinese Leather Arne Jacobsen Egg Chair and offers the most lucrative deals to the customers. Our Chinese Arne Jacobsen Egg Chair has curved leather seat and offers a seating height of 18”.